Kim is a true professional who is always going the extra mile to make sure her clients are well taken care of. Her love for travel has taken her across Mexico and the Caribbean, giving her an in-depth knowledge of these popular destination wedding locations. 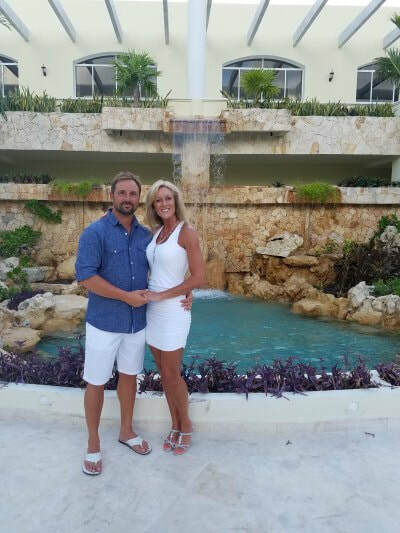 Kim loves sending clients to her favorite resorts, spoiling them with all the services and experiences she knows they will enjoy. Thinking of El Dorado, Azul, Dreams, Secrets or Now resorts for your next trip? Kim is your girl! El Dorado Royale is my favorite resort if I am traveling just my husband and me. Both; I love spending time in the pool close to the swim-up bar, but don't mind dipping my toes in the sand throughout the day as well and taking in the beautiful views of the sea. When my husband proposed to me on a flight to Puerto Vallarta, in front of 300+ travelers. My mom, brother and friends were with us on the trip and it was the perfect setting and an awesome way for him to pop the question!